BRIGHTON, Mich. - All Ford windows are designed to protect you in the event of a crash. The U.S. government has a collection of standards and regulations that require car companies to design the glass to shatter into tiny pieces (as opposed to shards) so that the glass doesn't harm the vehicle's occupants. However, there are no guidelines that require car companies to design your glass to ward off the sun's rays. No matter, Ford windows are designed to protect you from the sun, making it a car company that has your safety always at the forefront of its mind. 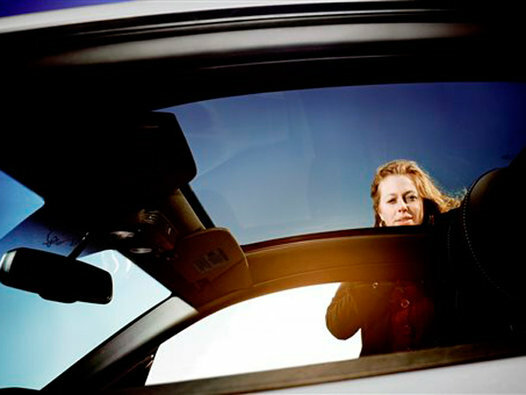 In your vehicle, the windshield offers the most protection from the sun. According to the law, windshields must be made with laminated glass; this type of glass breaks easily when something hard comes in contact with it, while a coating of plastic allows the glass to stretch a bit and absorb the impact. This plastic also absorbs the sun's ultraviolet rays, keeping you protected. Despite the requirements for the windshield, there are no laws that require your sunroof, side windows, or back windows to have the same type of glass. This means that your side windows and sunroof can leave you unprotected and vulnerable to the sun's harmful rays. Vehicles such as the Ford Mustang, however, come standard with a laminated glass sunroof and more. These laminated windows improve the UV protection in your vehicle and help keep your car cool. If you're concerned about being exposed to the sun in your car, we recommend putting on sunscreen with an SPF of 15 or higher before you drive - especially if you'll be driving in the sun for a long period of time. If you're looking for a more permanent solution, we can also discuss the various window options available for your car, or point out the vehicles that come with the Ford windows designed to protect you from the sun. Just stop by our Livonia Area Ford Dealer today and one of our team members would be more than happy to discuss the various window options with you.